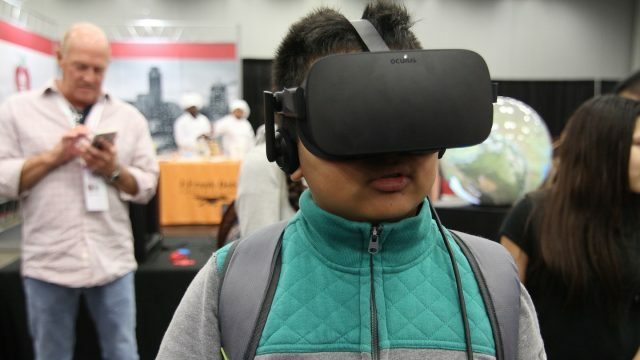 Each year SXSW EDU convenes education thought leaders from around the world to connect on the new ideas, practices, research, and technology that are driving the discourse around teaching and learning. In many ways the growth of SXSW EDU over the last eight years is a direct reflection of the community’s optimism about the future of education and learning more broadly. At a high level this year’s trends can be seen as a broader effort to re-engage and empower students in their own learning. From personalized approaches and creative teaching environments to new technology and mindfulness practices, there’s a movement to support whole student development with a long-term focus on career readiness. What follows are 10 trends we think will dominate discussions this March. For each trend we’ve included a list of related topical tags that link to SXW EDU programming as well as several sessions that explore the trend. Browse the online schedule to find programming at SXSW EDU 2018 that explores these trends further. Why it matters: While the future of artificial intelligence (AI) in the classroom is still being explored, the emerging technology continues to prove useful for learning. Advancements in AI are reshaping the learning experience and simultaneously creating a new set of skills students need to master for success in the workforce. Why it matters: Teachers, principals, and administrators are increasingly taking on the role of lead learner as new teaching models are embraced. Serving as trailblazers for their students, colleagues, and schools, educators are creating learning environments that allow them to be the guide on the side of students’ self-directed learning. Why it matters: Education has the power to be a great equalizer and provide the basis for long-term success. From culturally relevant pedagogy to full-blown systems change creating equity and access for all learners is fundamental to building an inclusive learning environment. Why it matters: The prevalence of technology along with the growing maker and STEAM movements are collectively helping to redefine the role of community spaces. Libraries, museums, and other community spaces are repositioning themselves as experiential learning environments designed to give students the opportunity to hone cognitive, behavioral, and emotional skills simultaneously. Why it matters: It’s no secret that there are many challenges in interacting with media in today’s society. The potential gains of open access to information are undermined by the rise in fake news and media manipulation. Empowering youth with the ability to access, analyze, and evaluate media and the efficacy of the content is essential to long-term digital citizenship. Why it matters: There’s a growing movement for schools to develop the “whole student” through social emotional learning, which has proven to lead to better academic and behavioral performance. Embracing mindfulness practice to address stress, combat distraction, and create self-awareness not only grounds students in their own minds, but also cultivates an emotional intelligence that is necessary in the workplace. Why it matters: Data security, management, and privacy are serious issues for institutions and companies alike. No longer is it just about protecting student data when working with outside vendors. Vulnerabilities in data systems have the potential to create real challenges as cyber threats are on the rise. Why it matters: The opportunities in education for creating impact and scaling innovation are supercharged by the connectivity of networks. Networks are creating access and opportunities all over the world and help solve challenges that no one person or organization can tackle alone. Why it matters: By blending traditional strategies with an intentional use of technology and tools, educators are able to accommodate individual learner needs and personalize the learning experience for all students. Through blended, project-based, and competency-based learning students are encouraged to apply knowledge and conceptual understanding to real-world problems. The classroom is no longer confined by a specific space, but instead can take form anywhere, at any time. Why it matters: Rapid changes in the workplace are forcing educators to revisit the skill sets and tools that students need to succeed. In order to prepare youth for jobs that don’t exist yet, schools and businesses are partnering to share insights, address challenges, and create new opportunities in both K-12 and higher education.